If dark elbows is something that worries you, then you should definitely give these tricks a try. 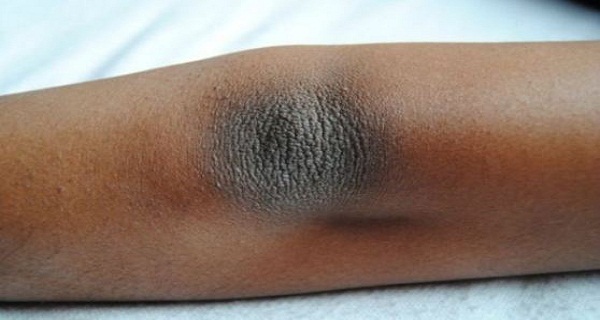 You can effectively get rid of dry and dark skin on your elbows at home using any of these three DIY easy methods. This is an excellent combination for skin moisturizing and pilling, which can also be used all over your body. Massage your elbows as well as other parts on your body with dry and hard skin using this mixture. Do this for 5 minutes, and then wash your skin with warm water and soap or shower gel. Olive oil is also beneficial against heart disease, diabetes, cancer, oxidative stress, hypertension, osteoporosis and rheumatoid arthritis. Both of these oils are extremely efficient when it comes to natural skincare; they soften your skin and hydrate it at the same time. Massage your skin with shea butter or coconut oil every night before going to bed. Leave it to act overnight. Repeat the process every night until your skin softens. Coconut oil is highly beneficial for blood sugar regulation because it stimulates insulin absorption in the body. Moreover, coconut oil can improve thyroid function, thus boosting metabolism, energy and endurance. It also stimulates digestion and absorption of fat-soluble vitamins. A skin-friendly spice, turmeric has proved beneficial for both skin protection and hydration. Mix one turmeric powder and some milk to get a thick paste. Rub the paste well into your elbows leaving it act it for 5 minutes. Wash your elbows with soap and water. The health benefits of this home remedy are endless – it cleanses your blood, relieves cough and cold, eases headaches, protects from hepatitis, helps with insomnia, arthritis, and much more.